All progress begins with a BRAVE decision! 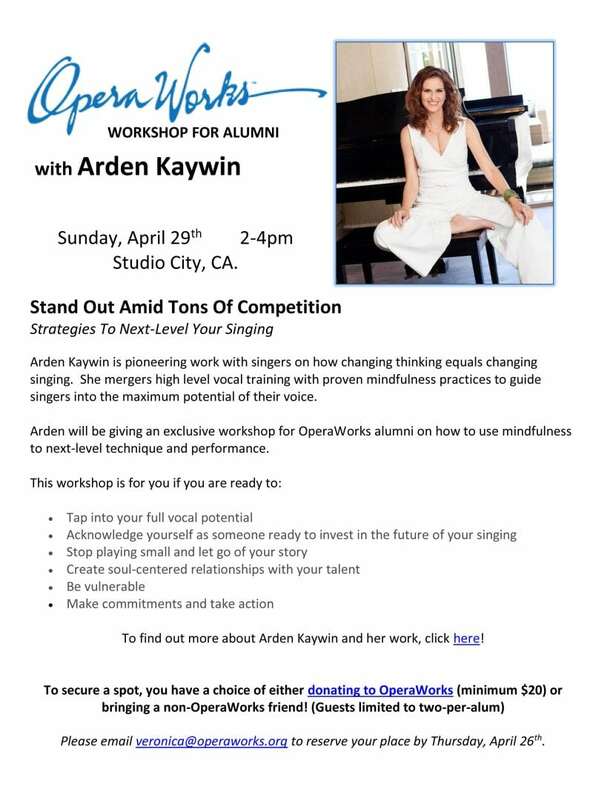 I give workshops focused on using the mind/body connection to maximize singing technique and performance. I tailor each workshop to the individual needs of the institution and the singers participating. If you believe this kind of work would benefit the singers in your performing arts institution, reach out to me via the contact link on my toolbar for more information on bringing a workshop to you.